  ADV Bikes  New KTM Freeride E-XC E-Bike – The Future of Dual Sport Riding? 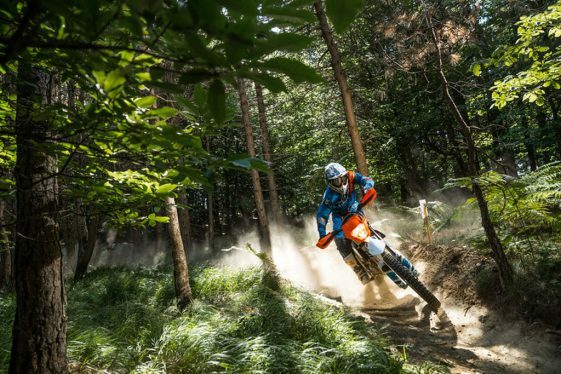  The KTM Freeride E-XC gets improved power, range, braking & more for 2018! KTM just unveiled the new 2018 Freeride E-XC electric Enduro Bike at a press conference in Austria. The Freeride’s new PowerPack offers an additional 50% more capacity and the motor’s peak output has been increased from 22 hp to about 25hp. Battery capacity offers roughly an extra half hour of riding over the 2017 model, to provide up to 1.5 hours. KTM head Stephan Pierer mentioned during the press conference that he expects they will be able to boost capacity by another 50% in the next three years. 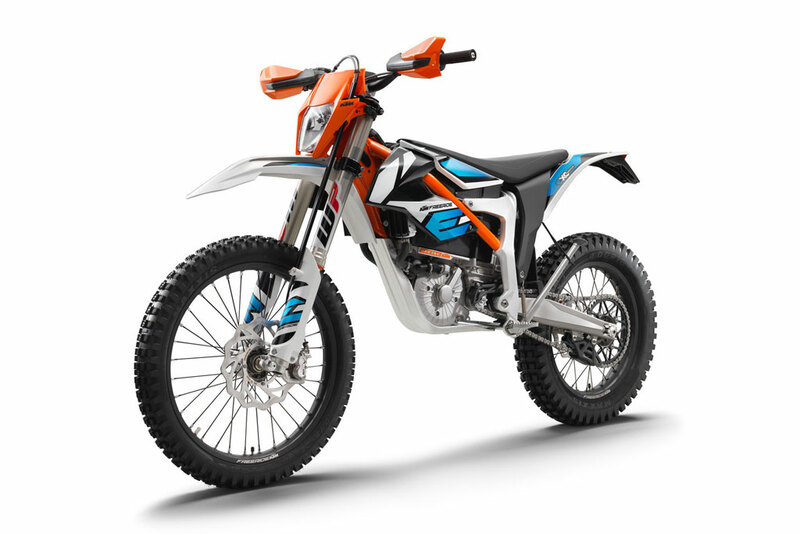 “We are proud to present the new KTM FREERIDE E-XC, which marks the next step in development of e-mobility within KTM and is a continuation of our commitment to this segment. We know that e-mobility will change the landscape of travel in the future, and our vision is very clear. Looking ahead to 2025 we expect to have a wider range of models available with a focus in the commuting arena. 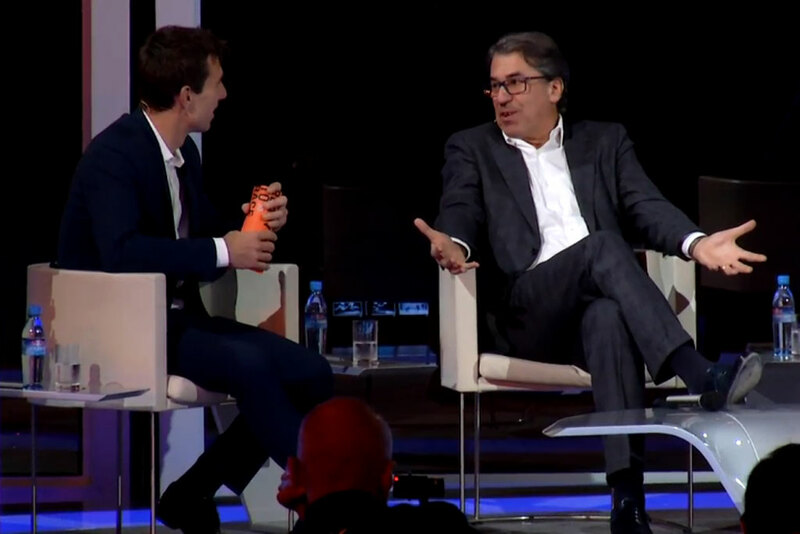 We also plan crossover machines with our collaboration with PEXCO, as well as using our e-mobility expertise in other applications,” said Pierer. KTM head Stephan Pierer talked at a press conference today about the company’s long-term commitment to e-mobility and future plans for a range of electric machines. The powerful and agile KTM FREERIDE E-XC is now even better. Powered by a state-of-the-art electric motor with a peak of 18 kW fitted into a re-designed composite frame that provides even better stability, this e-machine now benefits from a 50% capacity increase in its new KTM PowerPack, which offers up to one and a half hours of riding time with just one battery charge. The new KTM FREERIDE E-XC now also utilizes energy recuperation when coasting or braking for an additional range boost, and the battery has a quick charging time, while also providing 70% of its initial capacity after 700 charge cycles. In addition, this lightweight bike boasts a new WP Xplor 43 upside-down fork system with enhanced sensitivity, and a new WP PDS Xplor shock absorber with improved progression and adjustment options. 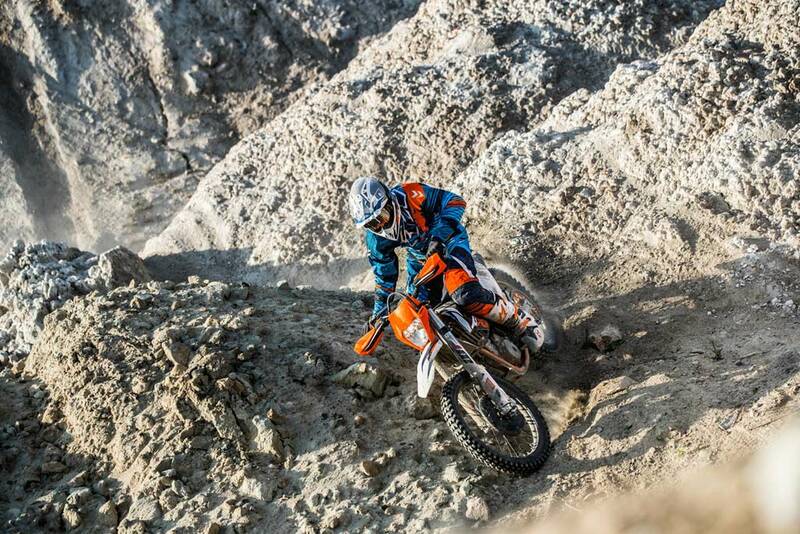 The KTM FREERIDE E-XC features three riding modes: Economy, Enduro and Cross. Its easy operation, with no clutch or gear shift lever, and a confidence inspiring low seat height of just over 900mm, combined with its extreme cross-country agility, ensures that this is the ultimate electrically powered machine for beginners to experienced level riders. Stylish new bodywork with racy graphics, trim and colors, a new dashboard and re-positioned ignition lock provide further benefits over the previous model. Producing zero emissions and minimal noise pollution, the possibilities are endless with the ultra-playful KTM FREERIDE E-XC. The KTM Freeride E-XC is not currently street legal in North America but with zero emissions and minimal noise, we can expect this to happen soon. The new model will be made available in limited numbers in the US in 2018 with pricing TBD. For more information, go to the KTM website. It raises some interesting questions for the US market. Now that it’s “zero emissions”, KTM does not have to play games with the EPA, I would think. So, beef use exchange points between EU and US, become moot… That should make it easier for KTM, unless the USDOT and the EPA are chummy, no telling these days. The “beef” between US and Europe was to force Europe to buy BGH laced US beef by imposing huge tariffs on EU food products, and 500cc or smaller motorcycles were included for no reason. This was proposed by the U.S.Trade Representative, not the EPA or DOT. There are other points of the marketing release that also catch my attention. Here’s a few: The composite frame. So, if I drop this thing, and I “bend” a frame piece, can I get a bolt-on replacement piece? How soon? (All spares going to production, none for service/ repairs). Or did just wreck and “total” the bike? (This happens often: I drop my cycle on trail, and I wreck composite bicycle frames. This is not a trivial point).